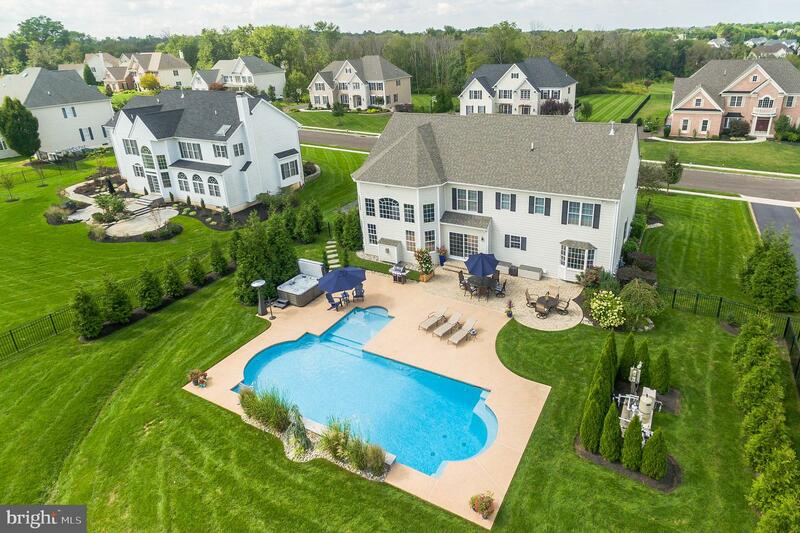 If you love the finer things in life, then you must see this elegant stone-front 4 bedroom, 4.5 bath Madison Colonial tucked away in the sought after community of the Ridings of Warwick. 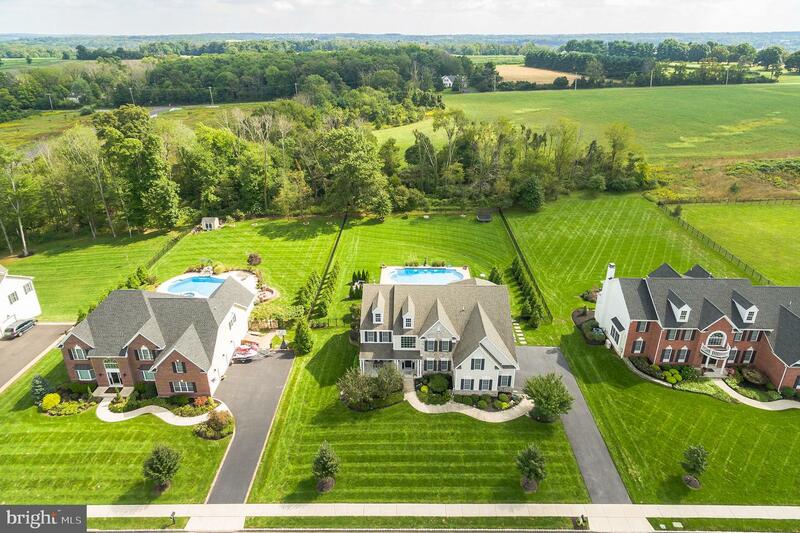 Get ready to experience this most amazing backyard oasis where no expense was spared. 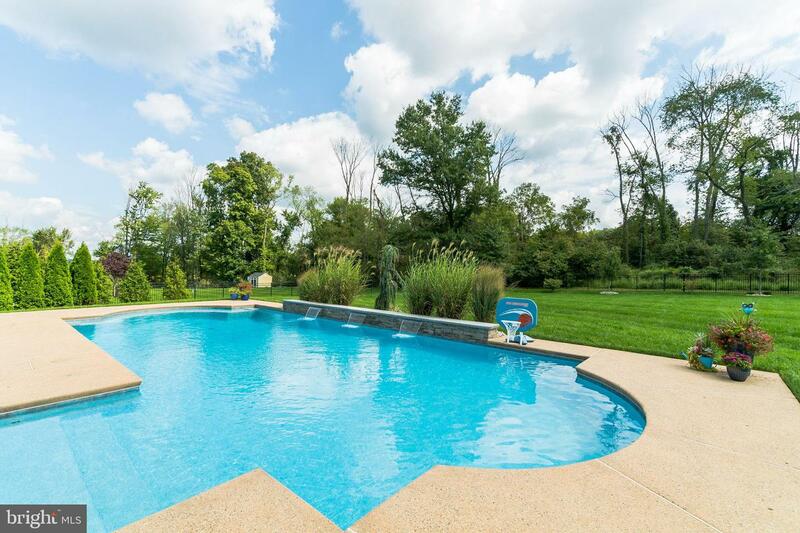 New saltwater pool with decorative raised wall and 3 lighted sheer waterfalls, LED color pool lights, tanning ledge feature and bench/swim out in the deep end. 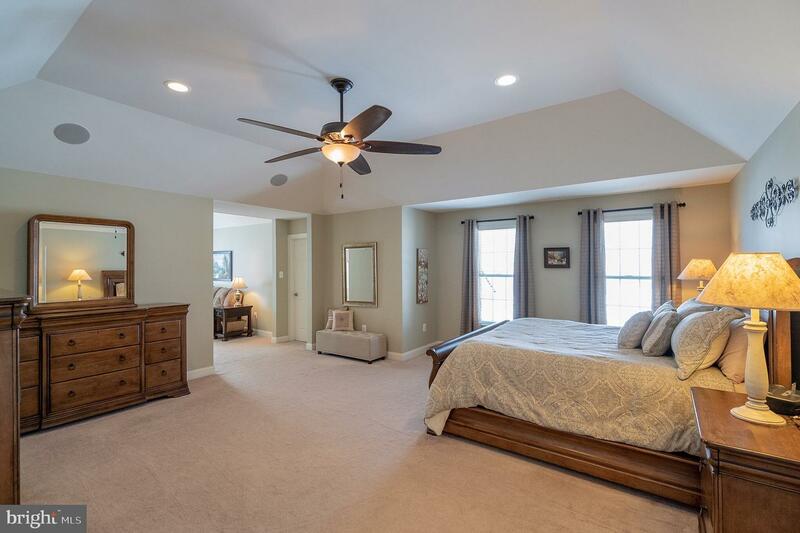 The spacious decking, lovely plantings around the pool and fenced yard create a vacation destination in your own backyard!A lovely curved staircase is the focal point of the 2-story foyer. 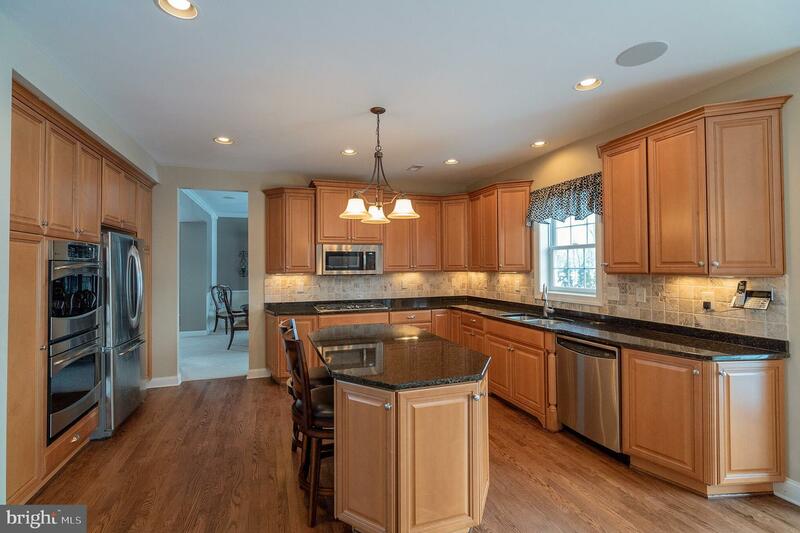 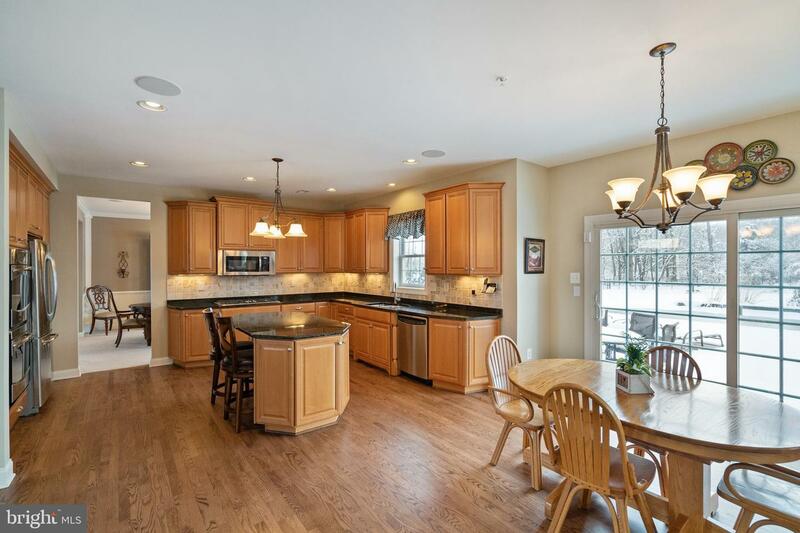 Recently refinished hardwood flooring extends to the upgraded kitchen where the entertaining begins. 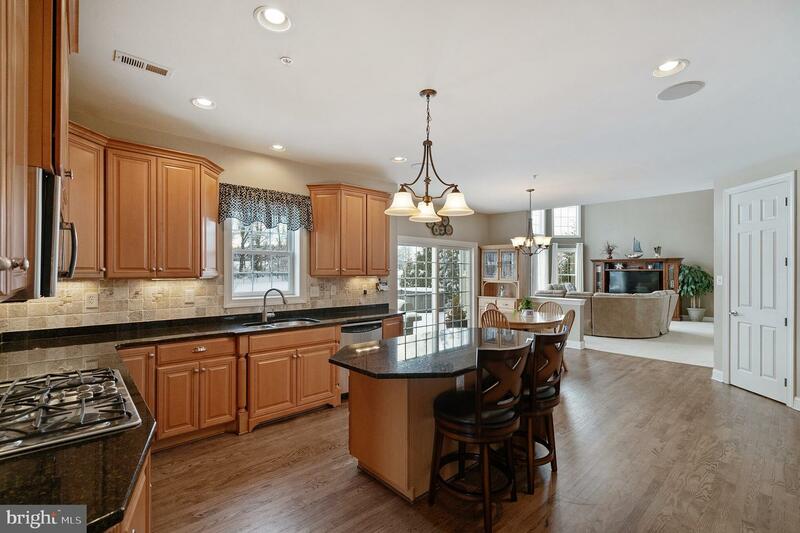 Breckenridge Cherry Bordeaux cabinetry, granite counters, travertine backsplash, GE Profile upgraded stainless appliances and under cabinet lighting are a few of the highlights of this chef~s kitchen. 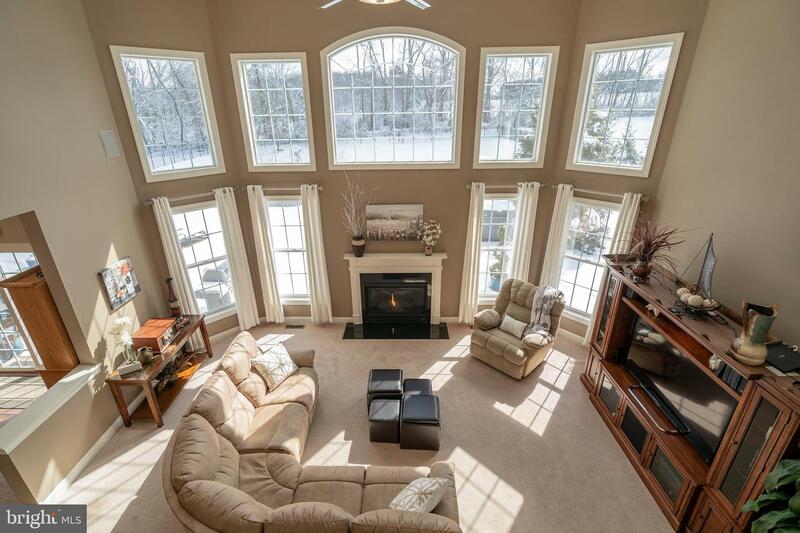 The open floor plan flows to an amazing wall of windows (with window tinting) in the family room that take in the backyard views year-round. 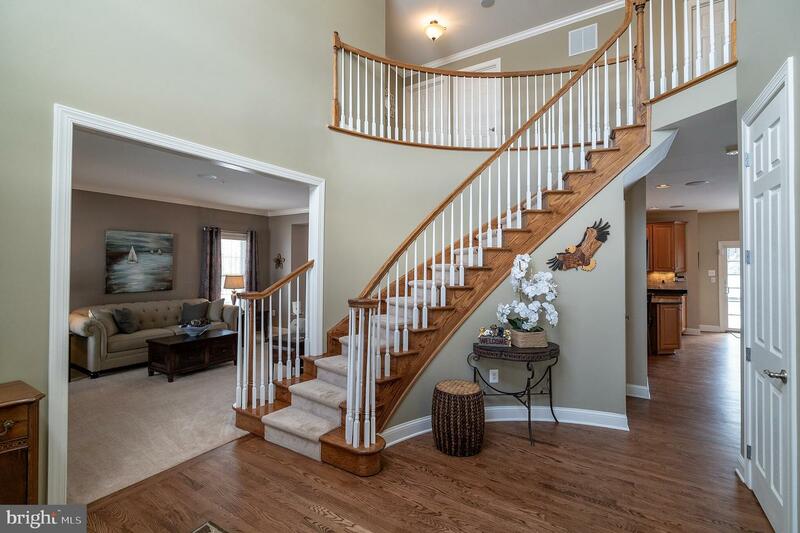 A second back staircase lends easy access to the second level. 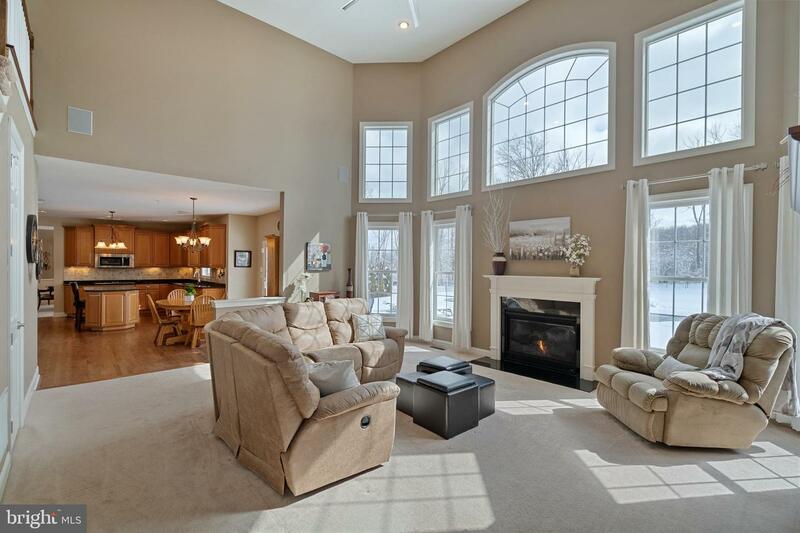 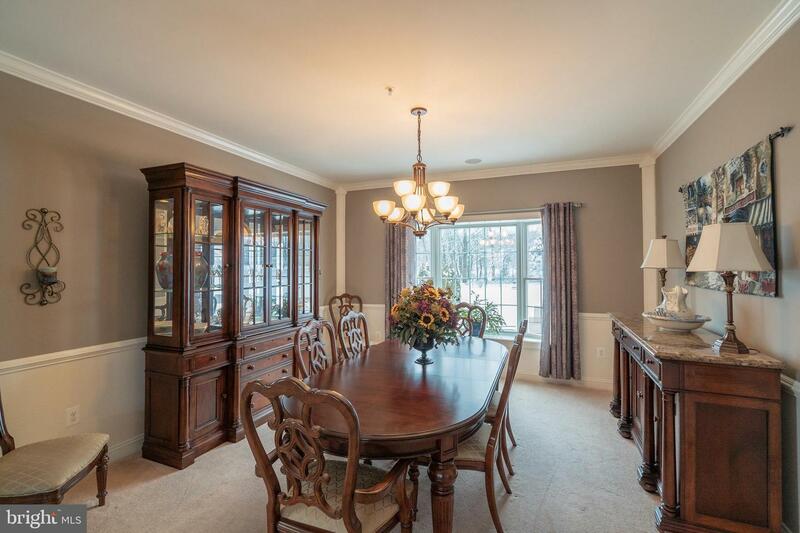 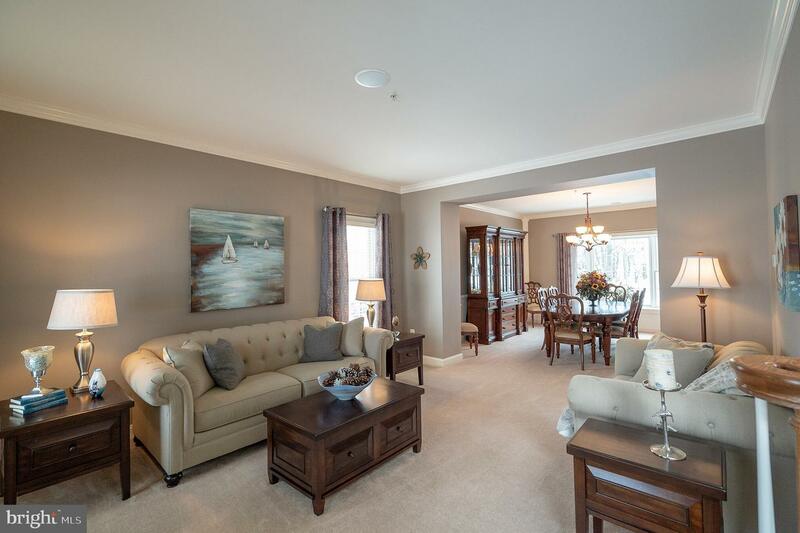 The living room and dining rooms are open and create ample space for large and small gatherings. 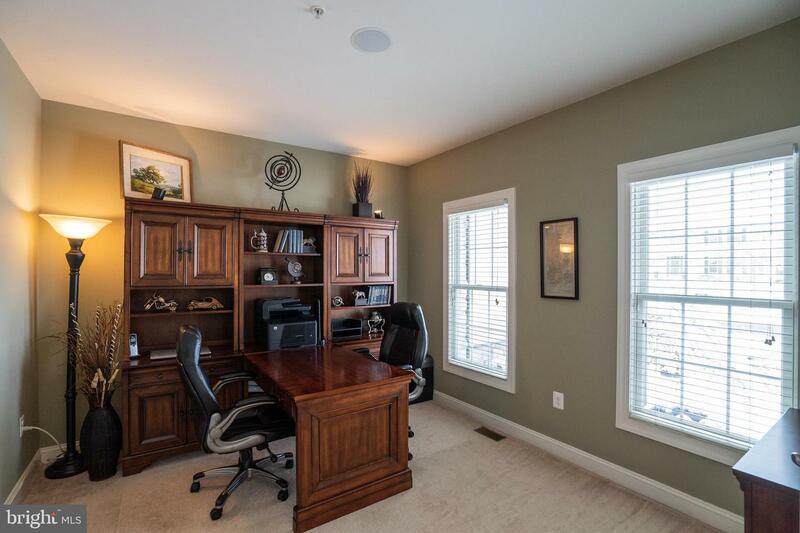 A first-floor office with French doors is a private space for a home office or den. 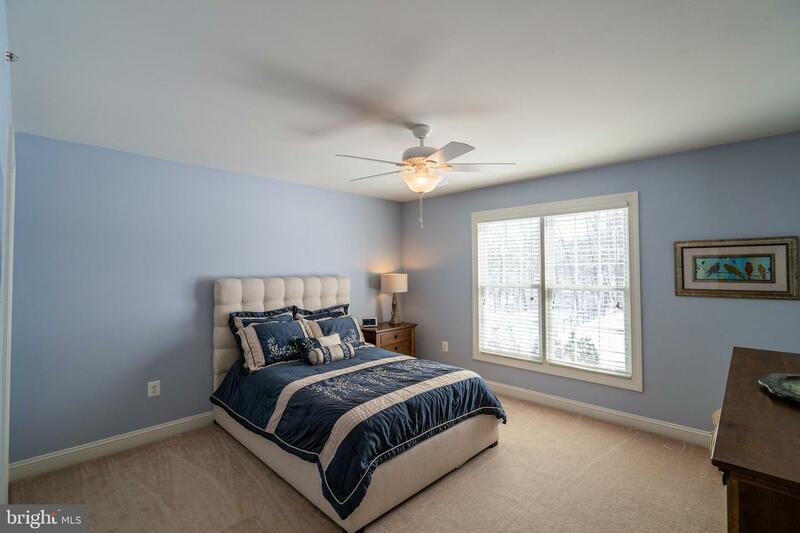 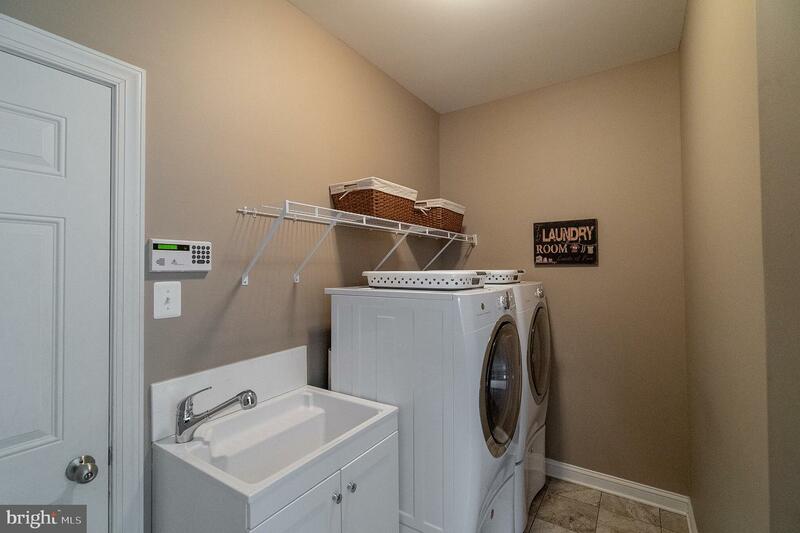 The first-floor laundry room is conveniently located off the kitchen.Upstairs the master suite has tray ceilings, plenty of room for grand furniture, a large sitting area and expanded walk in closet with custom built-in organizers. 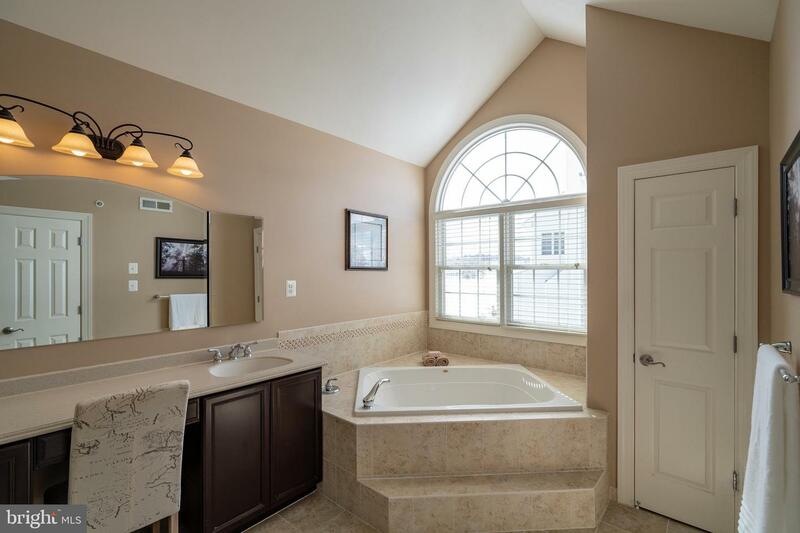 A large master bath with neutral upgraded tile, large stall shower, double sink vanity and Jacuzzi tub complete the master suite. 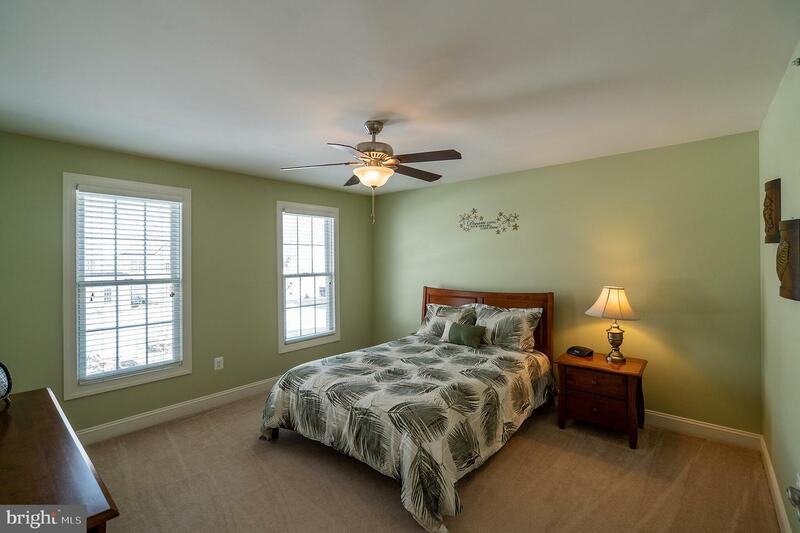 The second floor also features a princess suite with custom built-in closet organizers and a private bath. 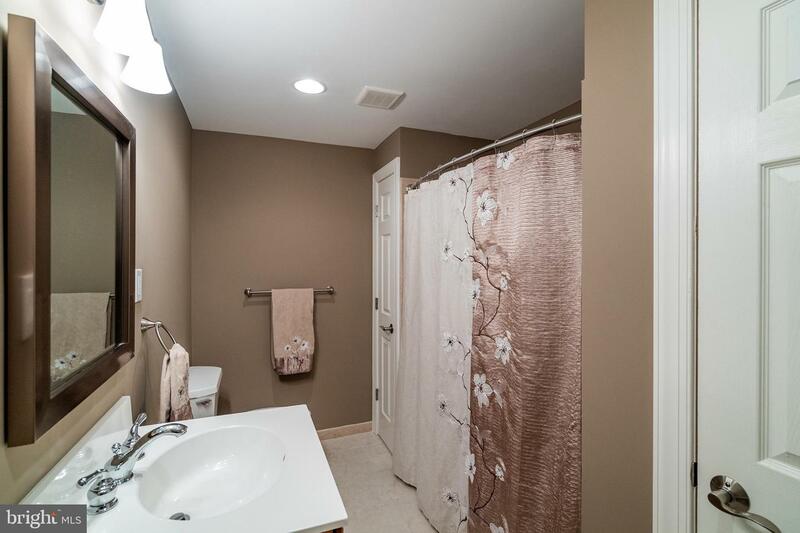 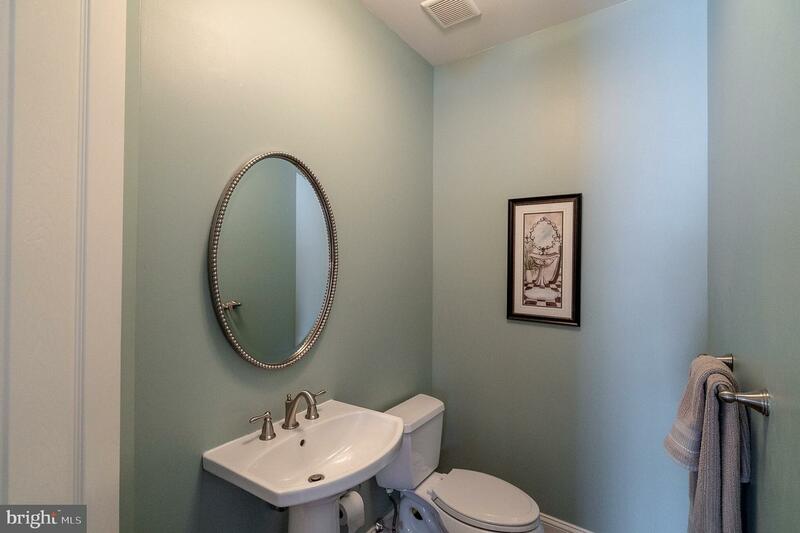 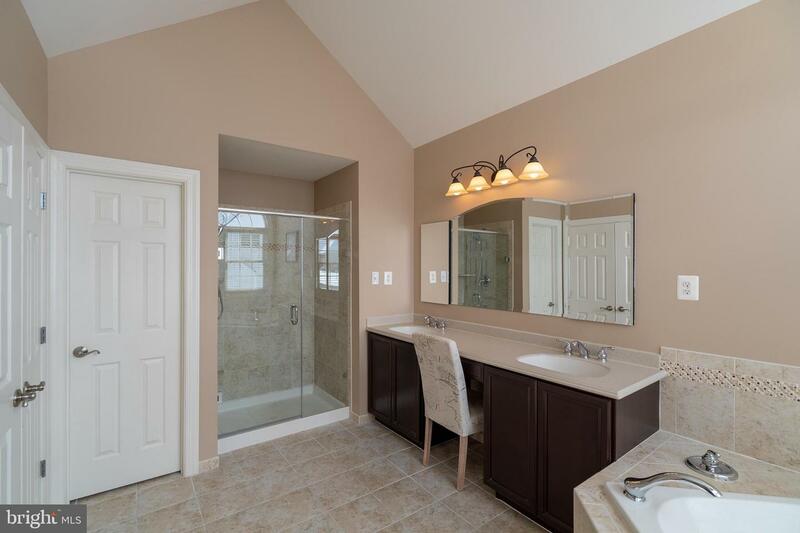 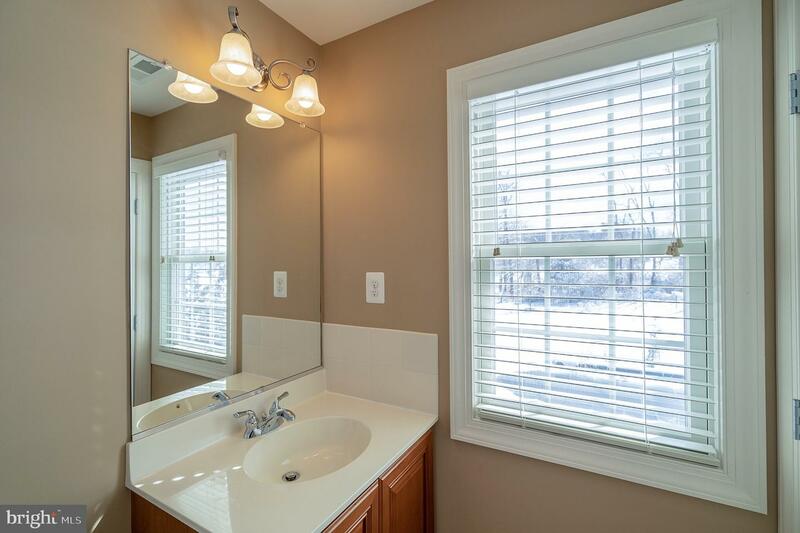 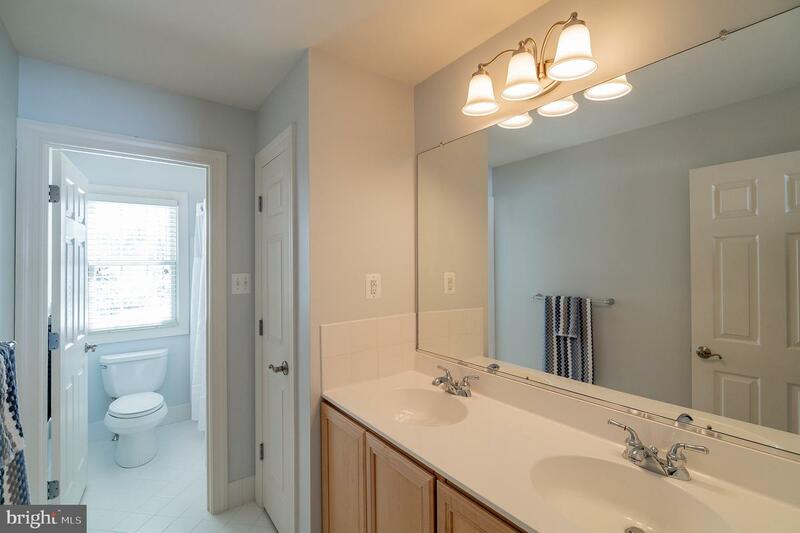 Two additional bedrooms share a full bathroom with double sink vanity and tub shower. 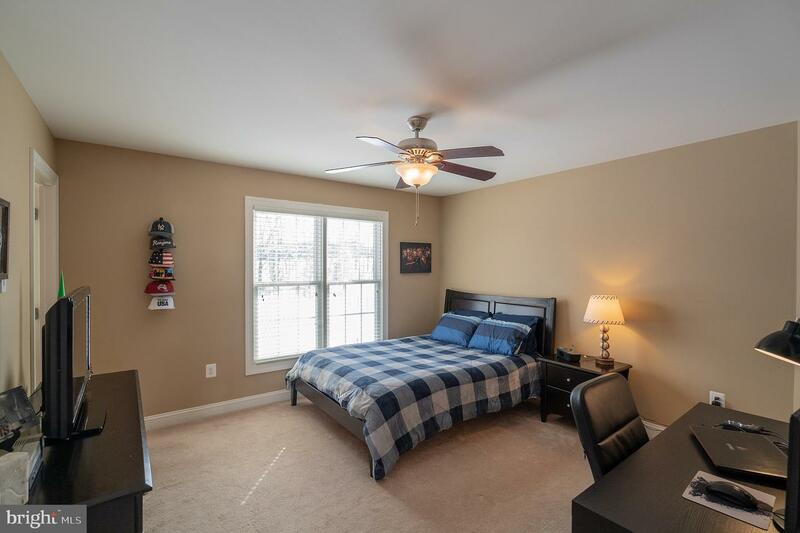 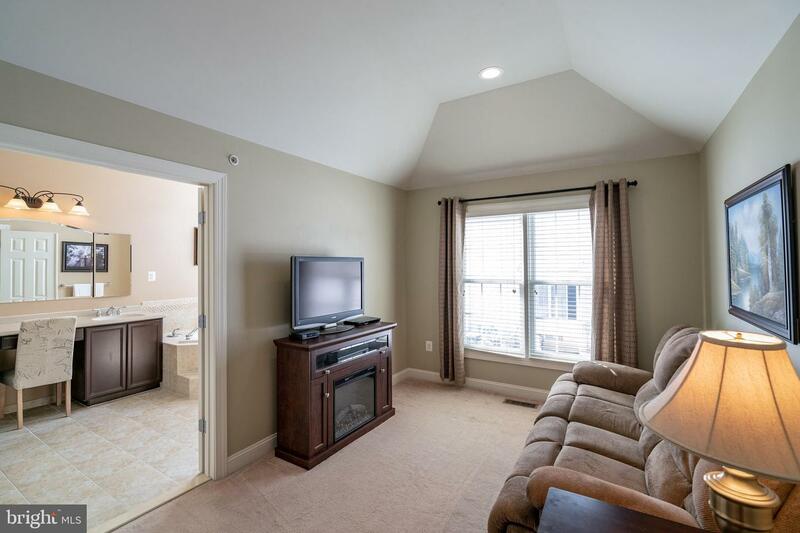 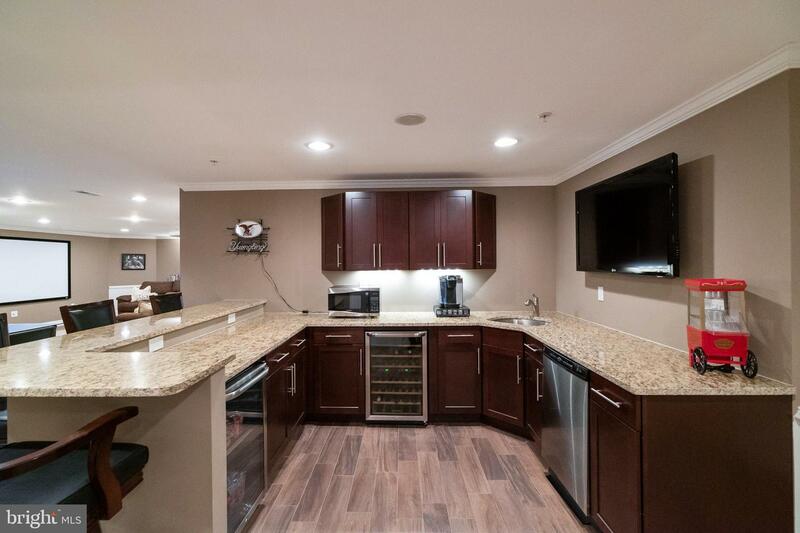 All closets on the second floor are walk-ins.The finished basement has a full bath, bar area with 2 beverage coolers, dishwasher and room for bar stools. 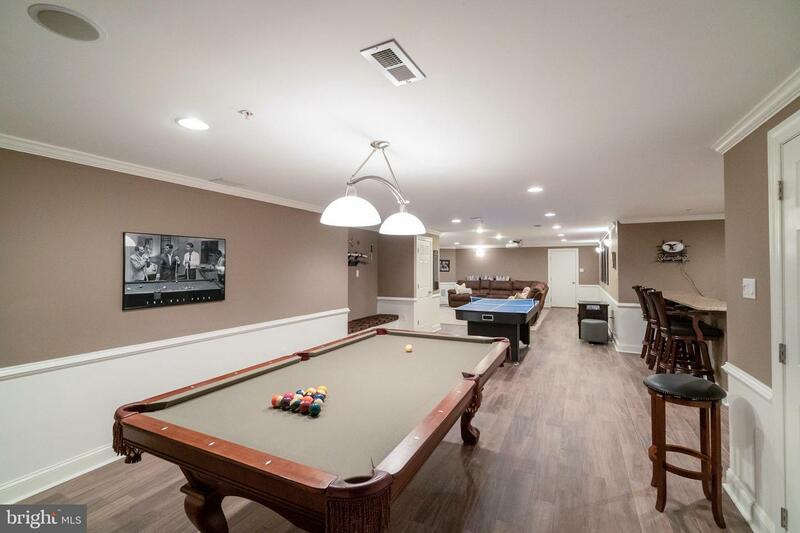 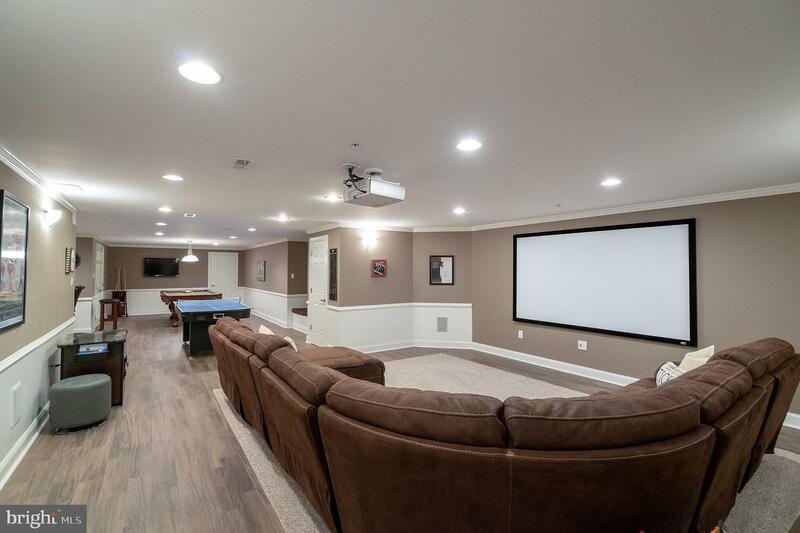 A game area is set up with a pool table and separate movie theater section with built in projector and screen with surround sound for the ultimate entertaining experience. 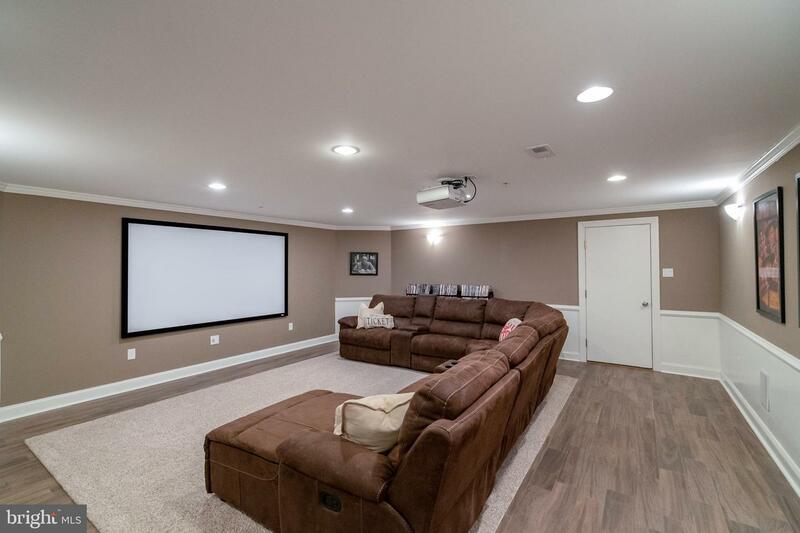 Lawn irrigation system, security system and 2-zone heating/cooling.